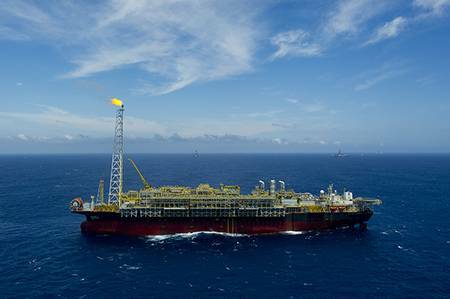 Petroleo Brasileiro produced an average of 2.03 million barrels per day (bpd) in Brazil last year, the oil company said in a statement on Tuesday, just below the company's target of 2.1 million bpd. Petrobras' total production of oil and natural gas was 2.63 million barrels of oil equivalent per day (boe/d), with 101,000 boe/d produced abroad, it said. The company had targeted 2.7 million boe/d.